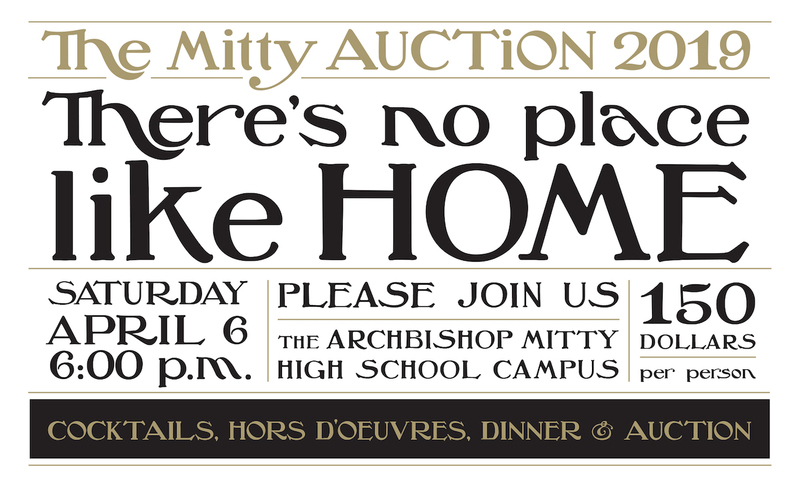 The Mitty Auction comes home to Archbishop Mitty on April 6, 2019. The auction festivities include a silent auction, a live auction, dinner and some surprises you don’t want to miss. Ticket price is $150.00 per person. Online registration begins on February 1, 2019. Tickets for the event will be limited, so do not delay in making your reservations. Invitations will be mailed at the end of February. For further information you can check for Auction updates on this webpage or contact Sarah Janigian, Director of Special Events, in the Advancement Office at (408) 342-4224.